This guided session is based on the concept of the Prosperity Mandala from Greer’s Tarot for Your Self. 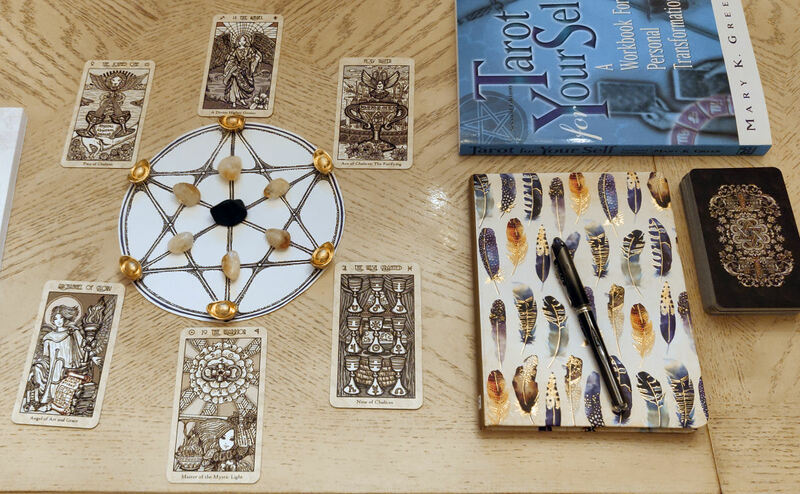 However, I’ve taken some significant creative licenses and diverged from her instruction so that this session could be an integration of tarot journaling, divination, and prosperity magic. I wanted to weave together writing prompts based on those found in “Clarifying Money Issues and Your Prosperity Mandala” from Greer’s book with a tarot reading that would then be turned in to the Prosperity Mandala, which would then be a combination of a tarot reading, brainstorming session, mind-mapping, and metaphysical energy work. 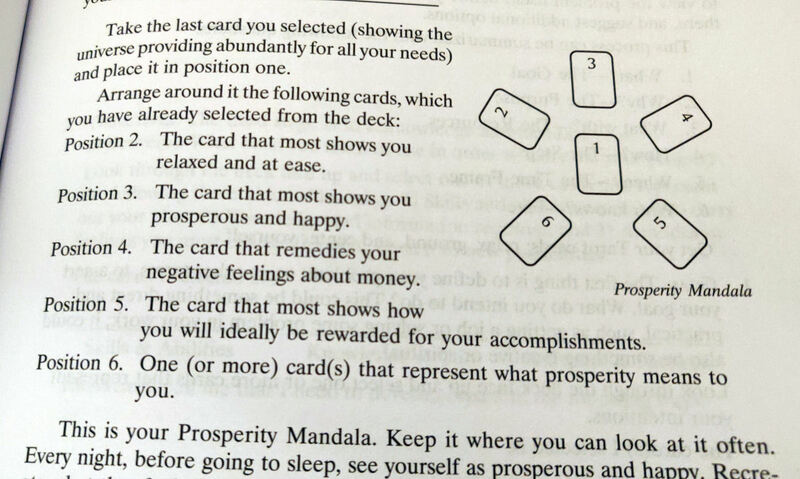 You’ll see that my arrangement of the cards into the Prosperity Mandala diverges from Greer’s. 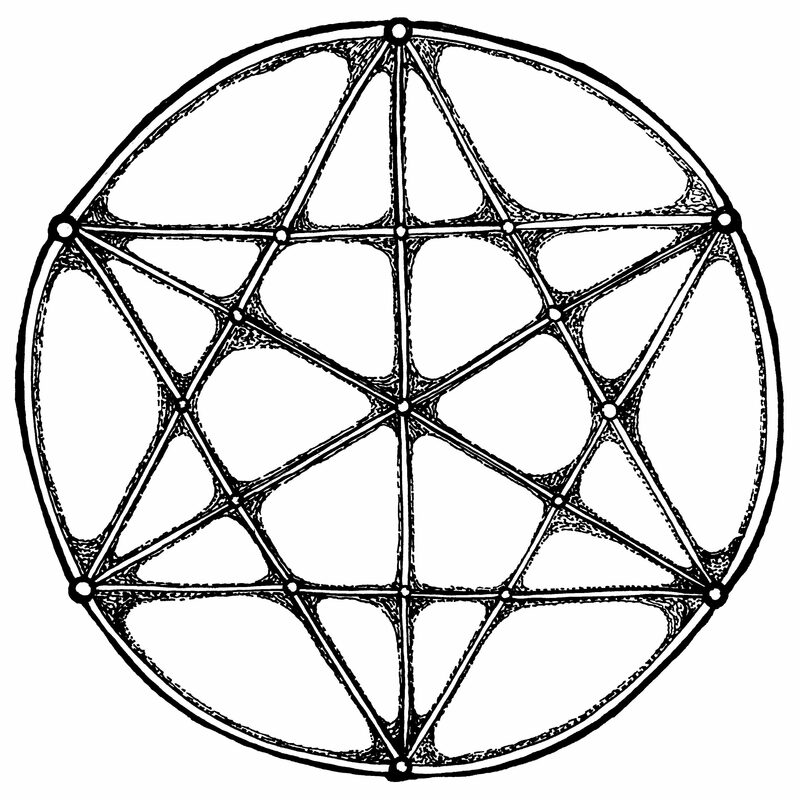 I did this in part to modify the mandala so it also doubles as a form of prosperity magic. Go ahead and dress up the basic JPG I’ve provided. Make it “your own.” The more personalized you get, the more powerful it’ll be. 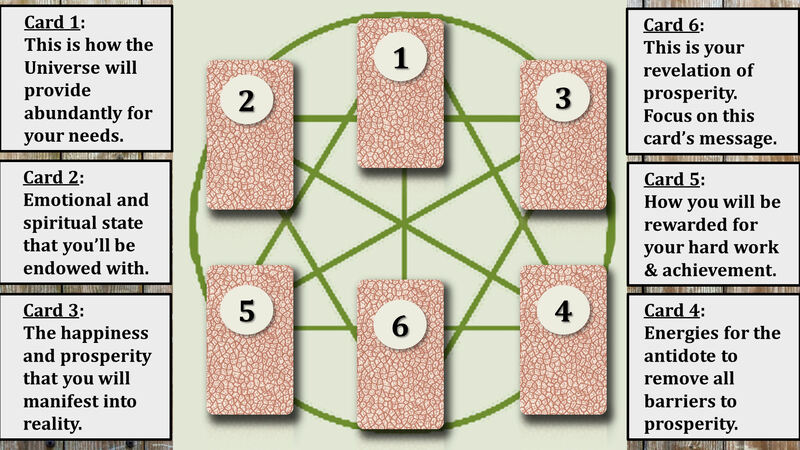 You’ll be leaving the Prosperity Mandala out for six days after the day of your reading (for a total of seven days working with these cards), and there’s energy work integrated with divinatory tarot, so some practitioners may want to augment the mandala with stones and crystals that correspond with prosperity for them. Thus, you can arrange a crystal grid around the Prosperity Mandala alongside the cards. Your creativity is your only limitation. 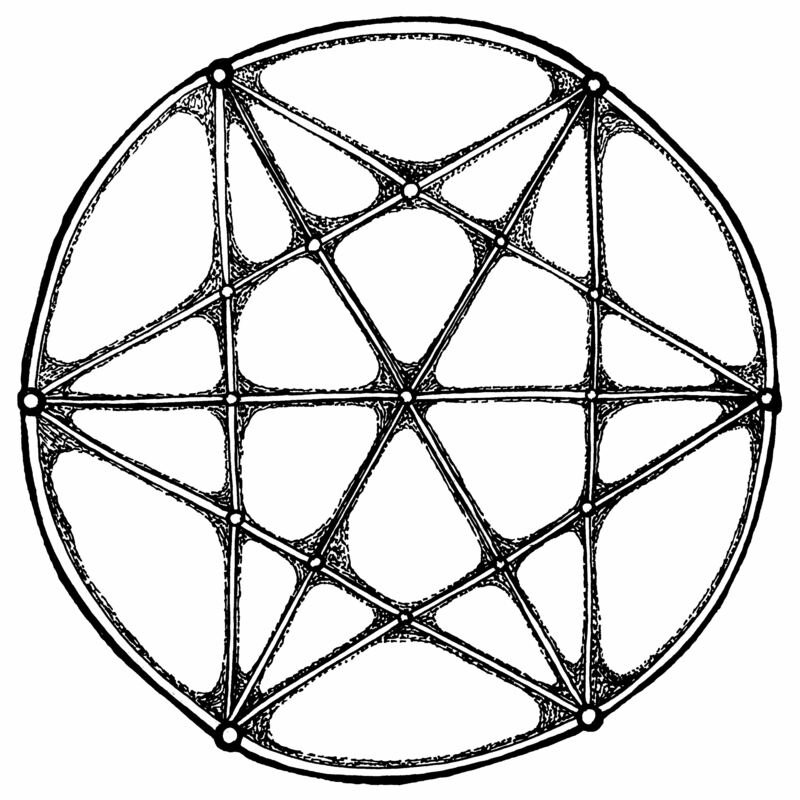 Expand upon the basic idea of the Mandala instructed in the video in any way you’re moved to. Personally, I enjoy fortifying the tarot mandala formation with crystals and charmed talismans that signify prosperity to me. I noted in the video how I prefer a morning hour to do my daily journaling with the mandala. If you prefer an evening hour, light a candle and keep it burning while you write. I found that this session helps to address some of your money shadows and then avails us an opportunity to self-reflect about our relationship with money. Every step of this guided session is tailored with precision and intention, so that it builds you toward personal empowerment and achievement of your prosperity goals. Very good advice! I appreciate it! I bought this book for myself in 1991 & it literally changed my life. Love your blog. Blessings. Thank you, I’ll definitely be checking this out. An excellent series, I just finish day 6 of the prosperity challenge. I received lots of information and what was interesting I love to read books and keep a journal. And the message came most strongly was review your notes and journals. The answer lies within. Thanks for the insightful series.